In my opinion the worst thing about having a cold is the congested feeling. I loathe feeling bunged up, not being able to taste or smell anything properly and the excess pressure on my sinuses, adding to my moans (I don't half complain do I) is that myself and Vicks Vaporub do not get on - it's sticky and generally unpleasant. 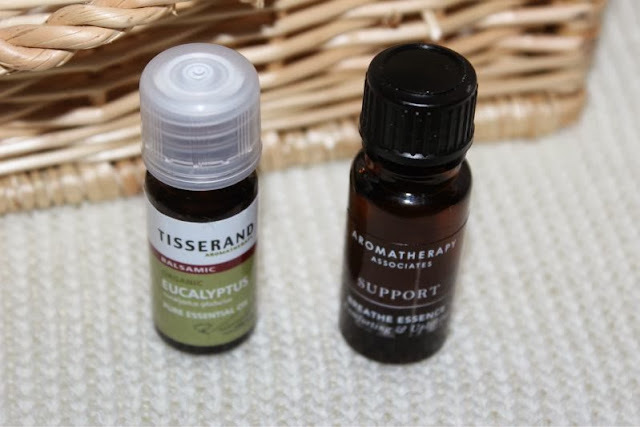 One of the main ingredients of such balm is eucalyptus oil which of course helps to de-congest, my two personal favourites are Tisserand's Organic Eucalyptus Oil (find it here - link) which I dab on to a tissue before placing under my pillow to help while sleeping. I also lean on Aromatherapy Associates Support Breathe Essence (find it here - link)which I burn in an oil burner to fill the home with a comforting and uplifting eucalyptus bases fragrance that also helps to de-congest and aid clear breathing. I favour the later as it is less obvious in the eucalyptus states yet works just as well. I understand that oils are not for everyone and for that reason alone I do have two candles that I find to work just as well but in a less obvious way. Last Winter I discovered NEOM's Harmonise fragrance (find it here - link) which is a blend of pine, cederwood and eucalyptus and have never looked back. In fact it has been affectionately known as the sick day candle in my house hold as it gets lit every time someone is ill and curled up on the sofa. Not only does it smell simply amazing - how I imagine a cabin in the woods surrounded by pine tree's dusted with snow in the winter but it helps to de-congest the sinuses and clear a foggy mind. I know I feature NEOM fairly regularly but this is my personal favourite fragrance by the brand. 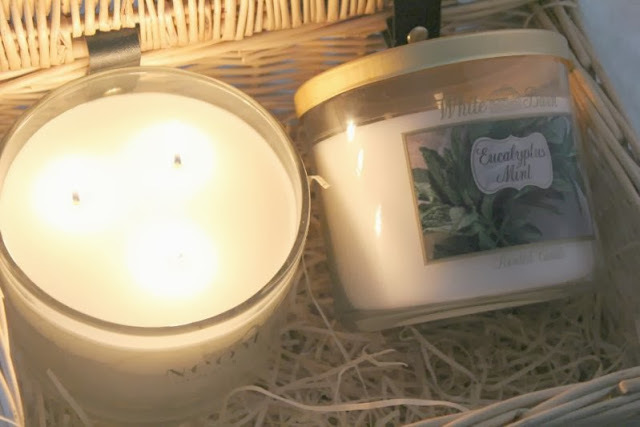 If you are lucky enough to have access to Bath and Body Works or don't mind paying a little extra via the likes of eBay and Amazon (find it here - link and here -link)I thoroughly recommend their Eucalyptus Spearmint blend which is made using essential oils to help clear both the breathing passages and the mind. The addition of mint makes this so zing and oddly festive at the same time with the added bonus that I find it a god send for chasing away head aches. What have you found to help beat the sniffles? So far I haven't got a cold but this is really helpful. One tip I've found (which is probably obvious) is as soon as you feel your throat get scratchy, down the medicine and hot drinks! 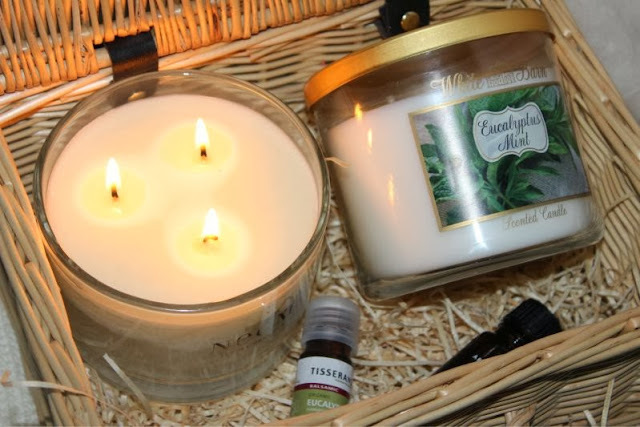 I've tried the Tisserand oils but I really like the idea of a candle!! oh this sounds great for helping, I dont get colds very often but when i do I use a bit of vics on a tissue or muslin. Love this post! I've currently got freshers flu and I'd love to feel better! I feel a cold coming on so these are some great tips for me! I'm definitely using these tips during the sniffles season!